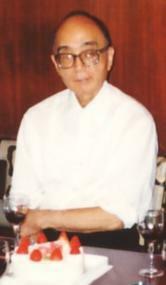 Professor Kenkichi Iwasawa, who is the founder of Iwasawa theory, died on October 26, 1998 at age 81. I attended "Iwasawa seminar" from 1991 to 1996. It was very lucky for me to talk with him at the seminar and lunch. I respect him as a great mathematician, of course. I like his character: nobility and cleanliness very much. As he didn't like exaggeration, I am going to write moderately about him and what he and his acqaintances said. 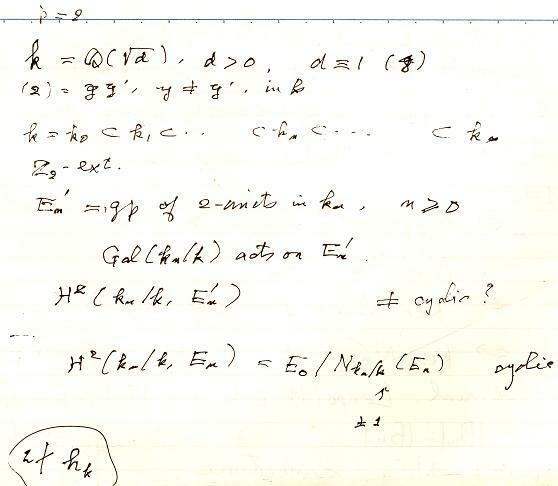 Iwasawa's lectures were very famous: Prof. R. Greenberg, Iwasawa's first student on number theory at Princeton, wrote : "His lectures were very beautiful, clear, and perfectly organized. But, remarkably, he lectured entirely without lecture notes. I remember only one exception to that, when once he briefly glanced at a small paper which he pulled from his pocket, put it back, and then continued his lecture."